Costco's going to pay for selling "Tiffany" engagement rings that weren't made by Tiffany. U.S. District Judge Laura Taylor Swain ruled on Monday that Tiffany (TIF) is entitled to $11.1 million in trebled profits -- triple the loss it incurred from Costco's actions -- plus interest, in addition to $8.25 million in punitive damages. 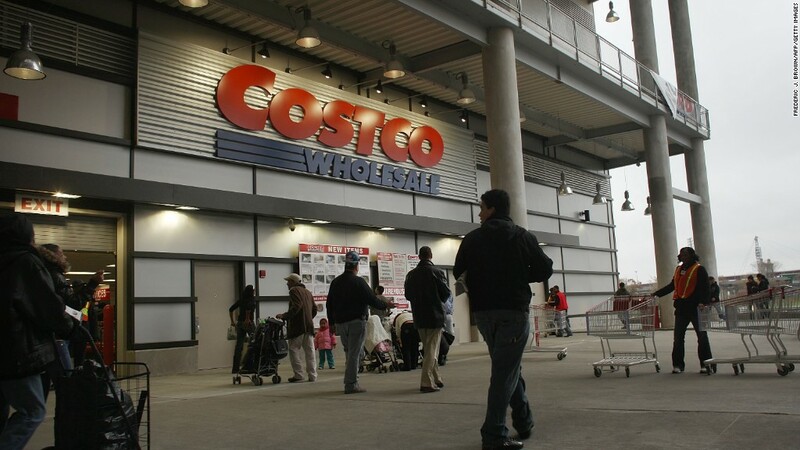 Overall, Costco (COST) owes the luxury jewelry retailer more than $19.3 million. Tiffany said in a statement that the decision "validates the strength of the Tiffany trademark and the value of our brand, and most importantly, sends a clear and powerful message to Costco and others who infringe the Tiffany mark." "We brought this case because we felt a responsibility to protect the value of our customers' purchases," the company added. "It is critically important that the Tiffany name not be used to sell any engagement ring that is not our own." Jeffrey Mitchell, lead counsel for the jewelry company, added that "this has been a long, hard-fought battle to vindicate Tiffany's rights." In a statement, Costco said it intends to appeal the ruling. "This was not a case about counterfeiting in the common understanding of that word -- Costco was not selling imitation Tiffany & Co. rings," it said. Tiffany first filed a complaint against Costco in U.S. District Court in New York in 2013, saying it learned from a customer that Costco was selling "Tiffany" rings. "Unbeknowst to Tiffany, Costco had apparently been selling different styles of rings for many years that it has falsely identified on in-store signage as 'Tiffany,'" the complaint said. "There are now hundreds if not thousands of people who mistakenly believe they purchased and own a Tiffany engagement ring from Costco," the complaint added. The complaint also said that Costco wasn't using the Tiffany trademark online, which made it hard for Tiffany to track it down using its usual procedures. Costco argued that it was using "Tiffany" as a generic term to describe a ring's setting. It argued that the items were not stamped or marked with the Tiffany name, nor were they sold in Tiffany's distinct blue boxes or bags. "Tiffany identified fewer than 10 who said that they had misunderstood Costco's signage," it said in a statement. Swain said in Monday's decision that in addition to paying Tiffany, Costco can never again use the word "Tiffany," to sell products as a standalone. Whether it may be able to use the word if it's followed by "setting," "set," or "style" was not decided in this case. Correction: This article has been updated to clarify that the judge's ruling addressed only the use of "Tiffany" as a standalone term.